Andrew Ray Deloney was born May 31st, 1951. He was born to Curtis and Mattie (Pogue) Deloney. He married the love of his life Rozetta Jean Fountain (Thomas) and they have been together for the past 20 years. Andrew died peacefully on Saturday, November 17th, 2018 in Tyler Texas after a long battle with cancer. He was a member of Pleasant Hill Baptist Church where he also was a member of the Pleasant Hill Baptist Church male choir. Andrew loved working in his garden while he was in good health and also loved playing dominoes and spending time with family and friends. Christmas was always Andrew’s favorite time of the year. Andrew attended school in Mount Vernon, TX. He was preceded in death by his parents, daughter (Rhonda), brothers Larry Joe, Charles Robert and sister Deborah (Sue). He is survived by his wife Rozetta Deloney and son Johnny Thomas, sisters Barbara Ann Anderson; Sandra and Darryl Martin, brothers Curtis Jr and Yronda, Thomas and Debbie. He is also survived by a host of nephews, nieces, great nephews and great nieces. A celebration of life service will be held at 1:00 p.m., Saturday, November 24th, 2018 at Denton Baptist Church in Mount Vernon. Interment will follow at Denton Cemetery in Mount Vernon. 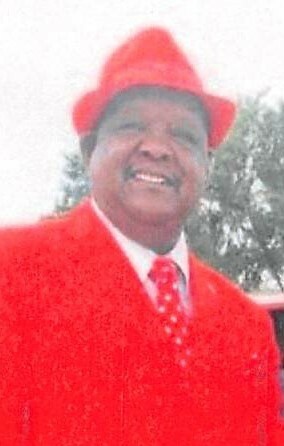 Arrangements are under the direction of West Oaks Funeral Home.